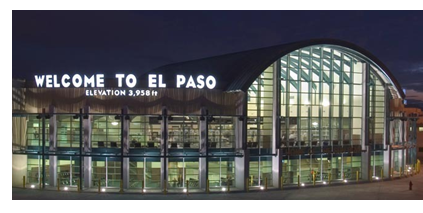 ​​​​​​ EL PASO – The city approved a capital improvement plan to will give El Paso International Airport a brand-new look. The renovations are expected to take five years to complete and are estimated to cost around $103 million. The airport plans to update the passenger notification boards with bigger screens, improve landscaping and build park monuments. It also plans to build a more efficient baggage claim and continue construction on a runway.